Happy Wednesday! We are half way to the weekend, my friends. What a relief! This week has been a busy one so far. First of all, I want to clarify something from yesterday's post. 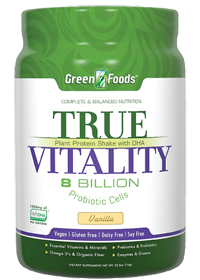 Several of you emailed about the protein mix. I want make sure the photo didn't mislead you...if you try this protein powder, I recommend the vanilla flavor. The picture showed chocolate but the vanilla is SO much better. Ok, just had to set the record straight! I've mentioned before that I've been gluten free since September so I'm always on the hunt for delicious gluten free snacks. I discovered these over the weekend (thanks, Mama! ), and they are so good! You must try them. We found them at Kroger but I'm sure you can find them at your local grocery as well. I've said it before and I'll say it again...Dallas is heating up, y'all. The JR Memorial episode was so sad but don't you worry...he's still stirring the pot, even from the grave. If you haven't been watching, there's still time to catch up. Do it, so we can dish! With all the warm weather back home last weekend, I realized it's fine time to start the hunt for a new pair of sandal wedges. What do y'all think about these? I recently purchased a pair of Seychelles boots and they are so comfortable. I figure I can't go wrong with another pair of Seychelles, right? ...but with my busy schedule, it would be nice to just have someone else print them. Anyone have a favorite vendor for this? Please share...I'd love to hear. I've looked at zazzle and minted. Any others I should know about? Well, that's all the randomness for today. Don't forget to hop on over to the link up and find some new blog friends! 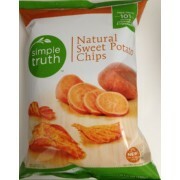 Those sweet potato chips sound delightful! I've never heard of that show! I've gotta check it out. And those shoes are sooo cute! Oh Dallas!! We get so excited to watch it each week as well. I can't (okay, I really can) believe that JR predicted it all! We are really enjoying it. But...is it just me or is Pamela's pregnant belly taking a little to long to get larger, especially with twins??? BTW, love those wedges!! 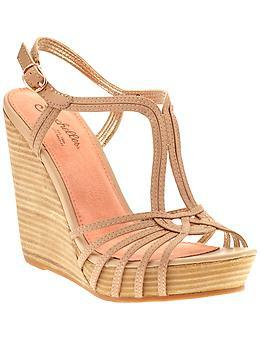 I just bought a cute pair at DSW last weekend that I can't wait to wear! I watch Dallas as well! For one, I just love Texas, so I love seeing the culture in there and two, the show is super juicy. and I agree with Andrea above, where is Pamela's baby belly? !